What did you love best about ASBO? It grabbed me right from the start and only got better as the story progressed. 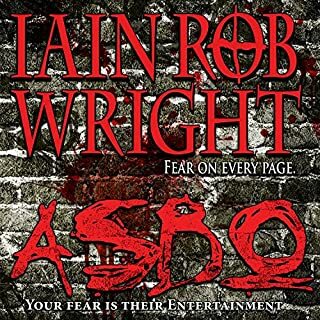 What other book might you compare ASBO to and why? I think Housemates is similar because it grabbed me from the start also. It was not a true story as far as I know but it gave me the same sense of horror and dread. I love the Author and Narrator! I have listened to 1 other book by Nigel Patterson and he is fantastic in both! I love horror but I am going to explore different types of books just to listen to Nigel Pattersons voice. He uses different voices for each character and he is able to put the correct emotion in his voice that the character is feeling. I am watching a movie just by listening and getting tons of exercise too since I listen only when walking. I listened to this book in 2 walks! That was over 20 miles in 2 days just so I could hear it all!